More healthy breakfast options. more satisfied customers. Wake up your breakfast menu with top-quality products from Butterball. 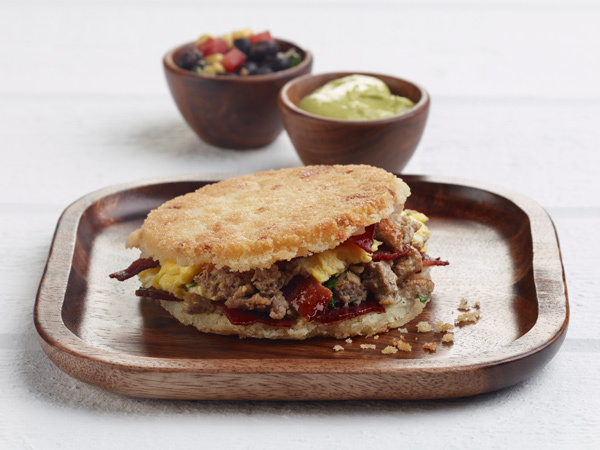 We have the options you need to make every customer a morning person, from great-tasting turkey sausage links and patties to sizzling turkey bacon. WHICH MENU ITEMS ARE MILLENNIALS SEEKING? Explore these deliciously different ways to take your morning menu to the next level. It isn’t breakfast without turkey. Browse these on-trend a.m. options. The definition of "healthy" is shifting. It’s no longer about a menu item’s calorie count or fat content. It’s about where the ingredients come from. Find out why operators should consider taking a more transparent approach to menu creation. Chefs are using turkey in place of other proteins to meet consumer demand and boost profitability. See how taking turkey beyond typical menu applications can keep customers coming back for more.